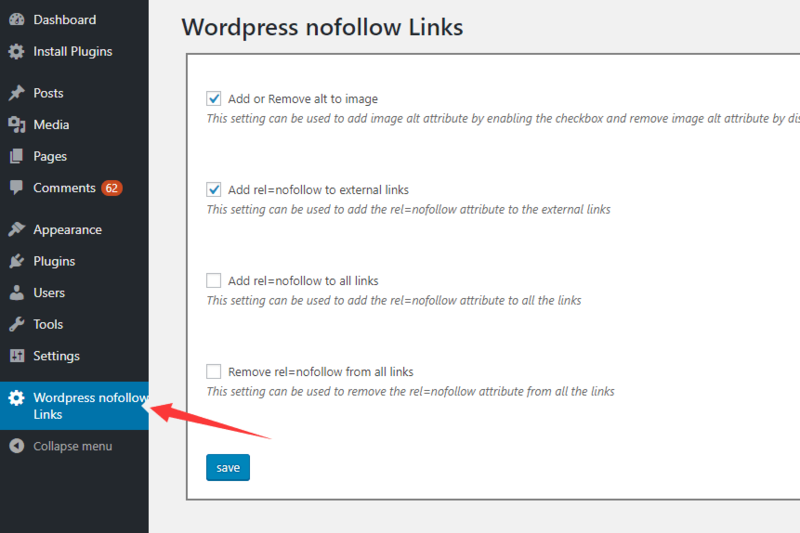 Nofollow Links is a WordPress plugin that automatically adds rel="nofollow" attribute to external links or all links found in your WordPress posts or pages. In addition, the plugin has the ability to add alt="post title" attribute to images for better SEO. 1. Search, install and activate the plugin directly in the admin panel. 3. Save changes and done.